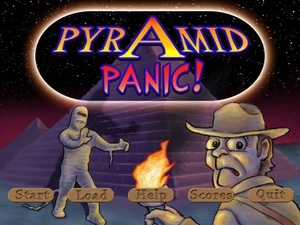 Pyramid Panic is a unique maze game with plenty of interesting features. 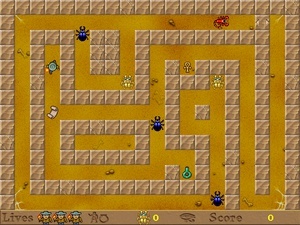 You control an explorer searching for an ancient treasure called the "Sword of RA". To get there, you must avoid giant scorpions and beetles, and destroy mummies. Only those who have ever held the "Sword of RA" know its true power. Will you? 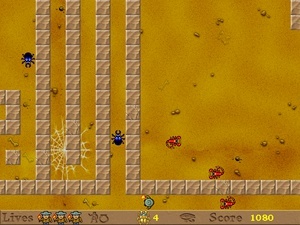 Pyramid Panic is one of the nine games Revolution Games did not create. They were originally created by Mark Overmars, and Jacob Habgood for The Game Maker's Apprentice.